The documents, published by The New York Times, the Guardian, and ProPublica, suggest that the mapping, gaming, and social networking apps which are a common feature of the world’s estimated one billion smartphones can feed America’s NSA and Britain’s GCHQ with huge amounts of personal data, including location information and details such as political affiliation or sexual orientation. The NSA did not directly comment on the reports but said in a statement that the communications of those who were not “valid foreign intelligence targets” were not of interest to the spy agency. 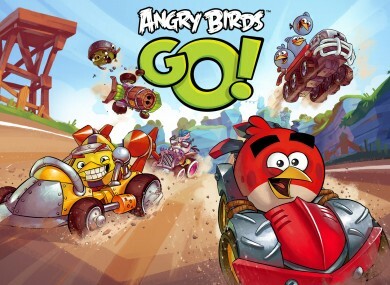 Angry Birds, which has been downloaded more than 1.7 billion times worldwide, was one of the most eye-catching examples. The Times and ProPublica said a 2012 British intelligence report laid out how to extract Angry Bird users’ information from phones running the Android operating system. Under the words, “Golden Nugget!”, it said that the data generated by the app could be examined to determine a phone’s settings, where it connected to, which websites it had visited, which documents it had downloaded, and who its users’ friends were. One of the documents said that apps could even be mined for information about users’ political alignment or sexual orientation. Google and Rovio Entertainment, the maker of Angry Birds, did not immediately return messages seeking comment on the reports. The Times’ web posting of a censored US document on the smartphone surveillance briefly contained material that appeared to publish the name of an NSA employee. Computer experts said they were able to extract the name of the employee, along with the name of a Middle Eastern terror group the program was targeting and details about the types of computer files the NSA found useful. Email “US and UK security agencies target Angry Birds and co for user data”. Feedback on “US and UK security agencies target Angry Birds and co for user data”.